Welcome to the I/O Hub! You’ve likely noticed that things look a bit different here on the Logic Supply blog. A LOT different actually. In our continuing effort to provide you with the most current and complete information about the IPC industry, we’ve created a new home for technology insights, how-tos and breaking news, specially curated for tech industry professionals. Allow us to introduce you to the I/O Hub. The I/O Hub is much more than just a blog. We’ve built this platform to make it easy for you to find and engage with articles related to every aspect of the industrial and embedded computing industry. Here you’ll find detailed tutorials on everything from vibration-proofing your hardware to setting up specialized data acquisition modules. The I/O Hub’s News section is the home for information about industry events, hardware innovations and updates about what’s happening here at Logic Supply. The Technology section of the I/O Hub is the home for small form factor and industrial computing product insights. If you’re looking for your next piece of mission critical hardware, the technology section will help guide you in the right direction. 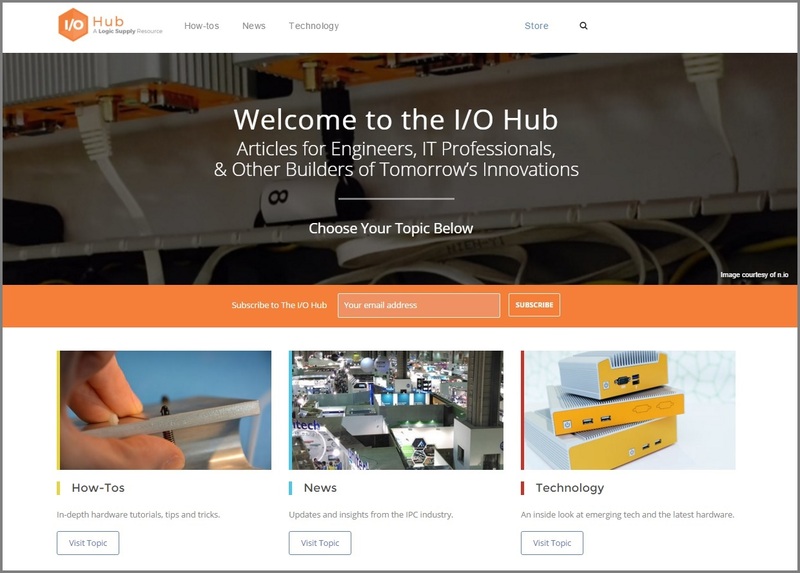 With the launch of the I/O Hub we’ve made it easier than ever before to browse, navigate and read articles from industry pros. We’ve also streamlined the subscription process to ensure you don’t miss a single update (simply enter your email address in the subscription field to the right of the image above). So, take a look around, check out a few articles and leave us feedback in the comments about what type of information you’d like to see here on the I/O Hub. Thank you for stopping by, we’re excited to keep bringing you the latest IPC industry information.